Over the past 2 months, Mizuma Gallery’s Zen Teh has been in Bandung, Indonesia undertaking artist residency with Selasar Sunaryo Art Space. During this period, she investigated Bandung’s geomorphology and construction sites, highlighting existing tensions between the will for economic growth versus the sustainability of the residents’ living environment. As her residency soon draws to a close, we are pleased to announce her solo presentation held at Selasar Sunaryo Art Space. 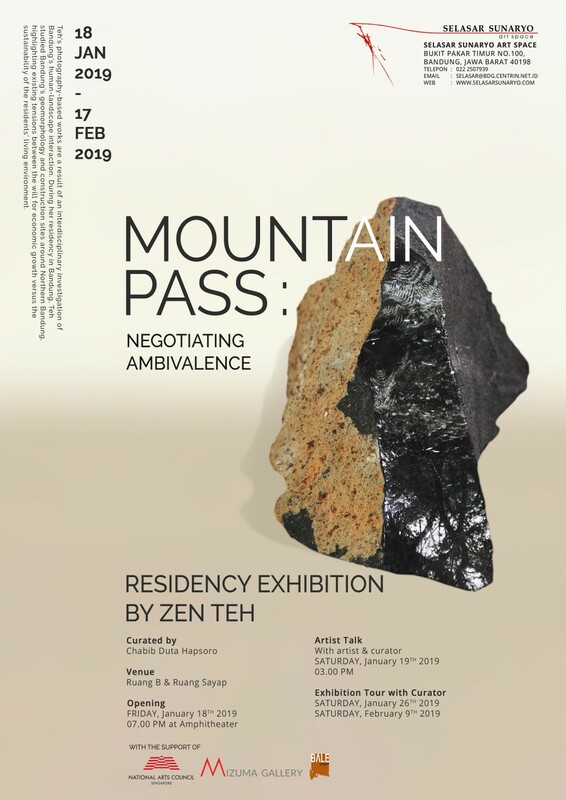 Titled “Mountain Pass: Negotiating Ambivalence“, the exhibition features new works by Zen as well as interdisciplinary collaborations with local researchers and geologists. Catch the teaser video of Zen’s preparation in this 2-month lead up to the exhibition!